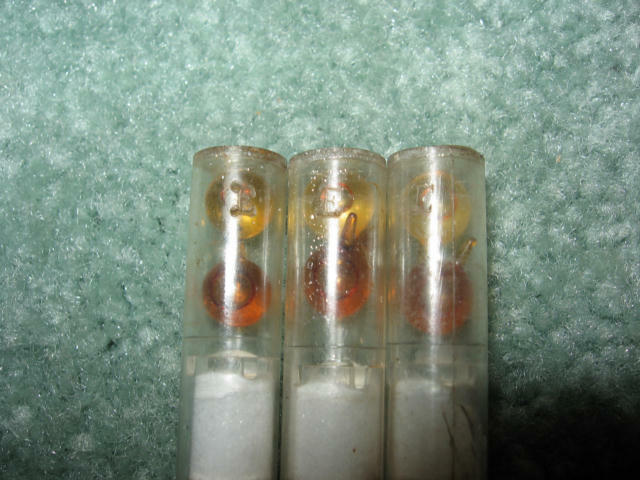 I believe these 3 vials to be German WWII gas detection reagent vials . These were found in Russia in the same ex-battle field that unearthed the German horse gasmask also shown on this web site . The vials seem to be made from a brittle clear plastic material . 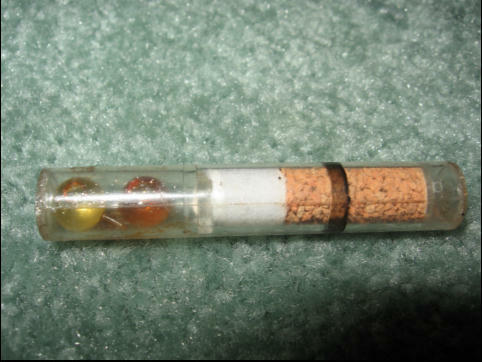 Inside these tubes are 2 round glass balls with some unknown chemical in them . These glass balls are seperated by a plastic plate and a white substance that may be cotton (?) and then a light brown granule . On the outside of this vial is a black painted rind and a large "E" embossed into the clear plastic . The exact maker is unknown to me . 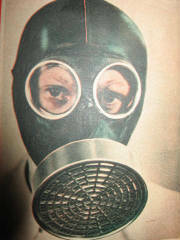 I was told that when used this would detect a certain type of poison gas . 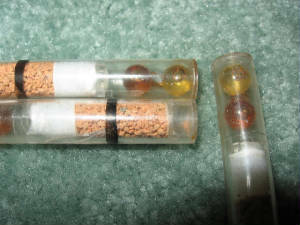 As far as I know this vial would be inserted into a test device and some how when the 2 glass vials were broken the 2 chemicals would mix with the gas and turn the brown material a different color indicating a certain type of gas . 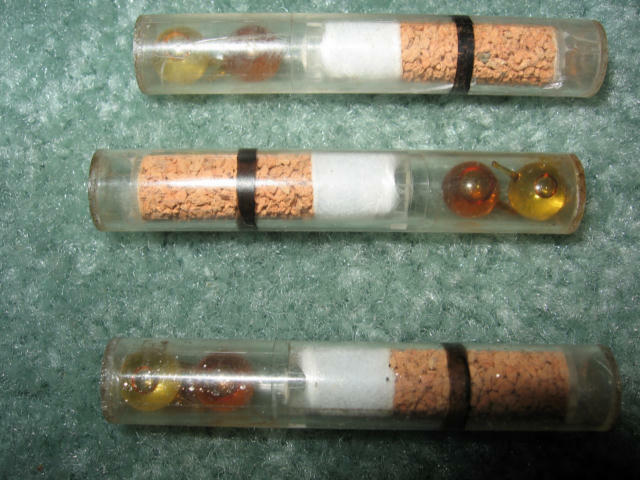 If the reader has more information on these vials please e-mail me !